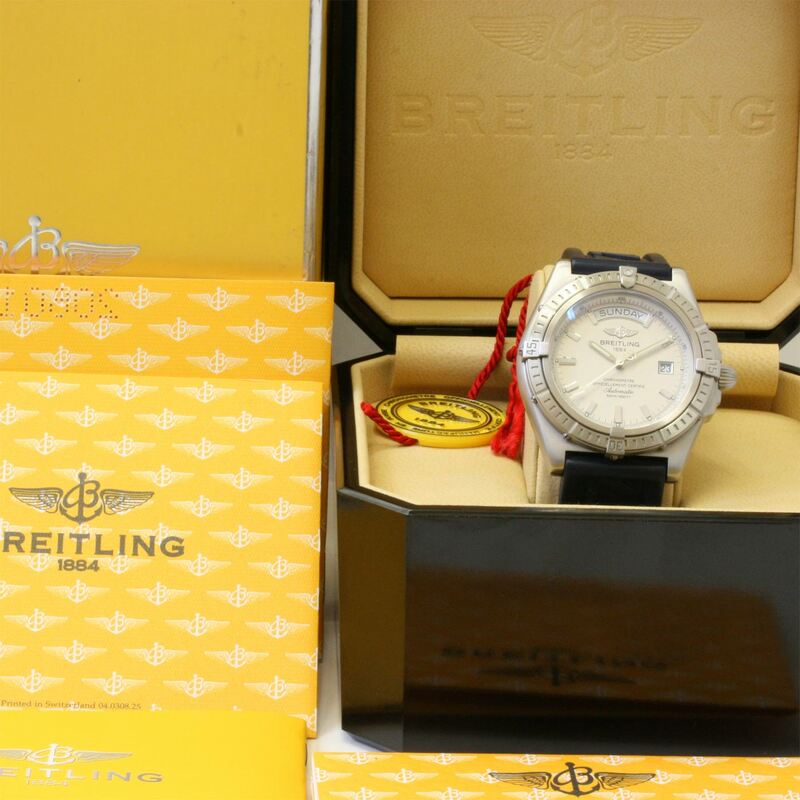 Product code: 789 Categories: Sold Items, Sold Watches. This is the Breitling Headwind Automatic with the day and date function. The Headwind was discontinued in 2005, and this is the 2004 model and in fantastic condition. Fitted with a Chronometer rated 25 jewelled automatic movement that of course runs perfectly. Complete with box and papers, this is a fantastic looking watch on the wrist, and would be great for any watch connoisseur or a fantastic gift. Maker and Model: Breitling Headwind.